ORDER your DARE TO DREAM CD album NOW! 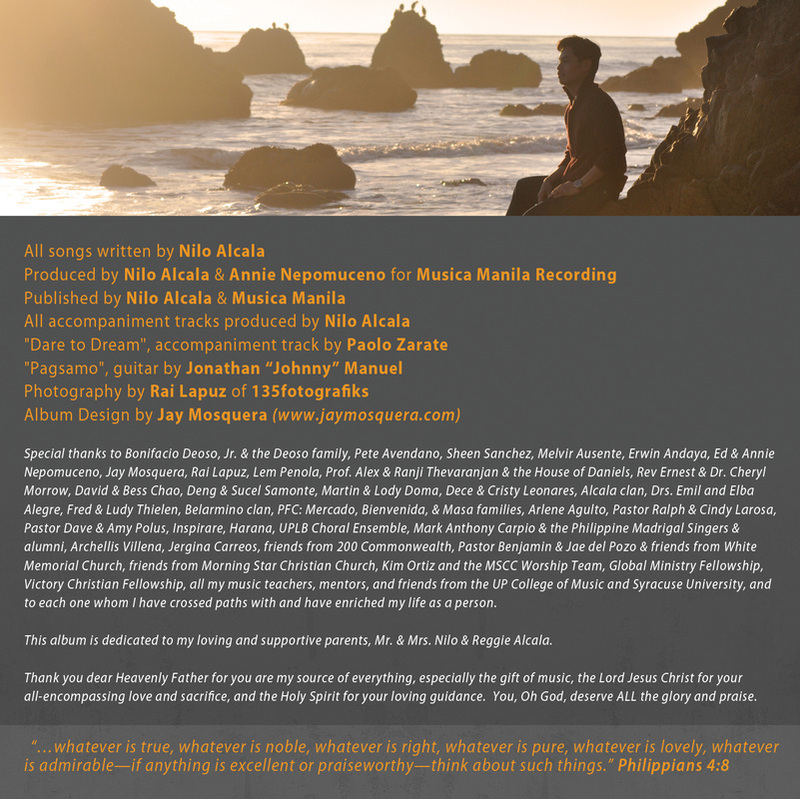 To support Alcala's cultural exchange trip, musical personalities in Los Angeles gathered in a special one night concert dubbed as "Nilo Alcala presents myTunes" on July 22, 2012, 6pm at the ENVision Center in Van Nuys, CA. Also in support of this is a CD ALBUM was launched also on July 22, 2012 at the concert. 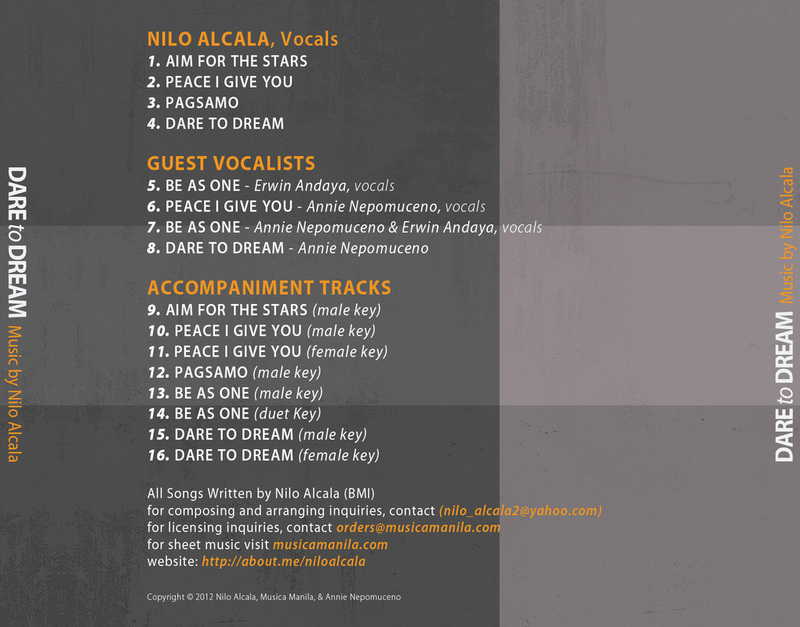 The "Dare to Dream" CD ALBUM features the inspirational vocal music of singer/songwriter Nilo Alcala, with special guest vocalists Annie Nepomuceno and Erwin Andaya! 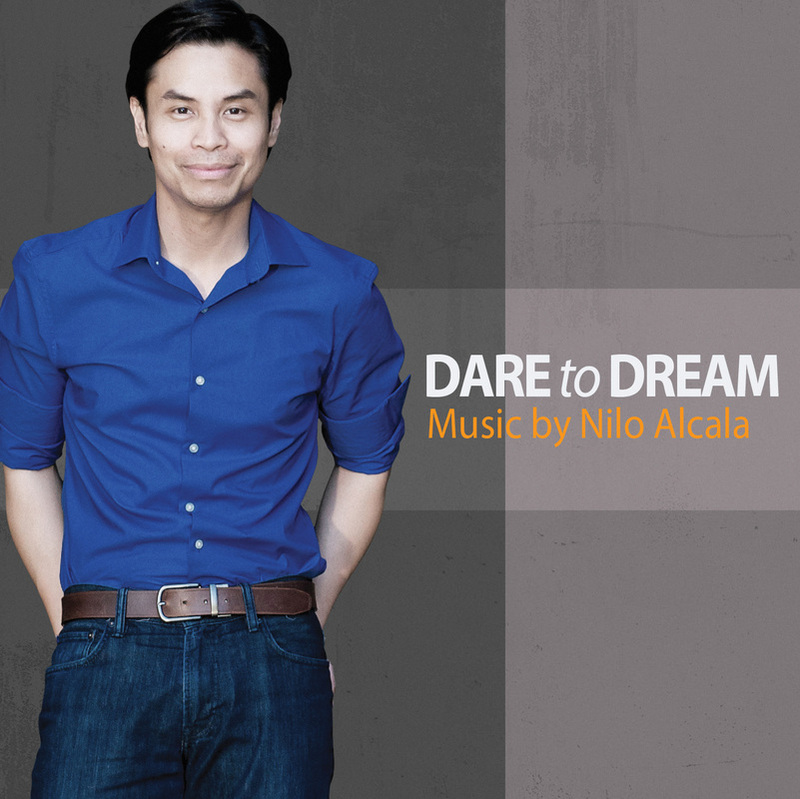 ORDER NOW YOUR COPY OF "DARE TO DREAM: MUSIC OF NILO ALCALA"
3) Or you may simply choose to DONATE ANY AMOUNT to support Nilo Alcala's cultural exchange trip to South Korea. 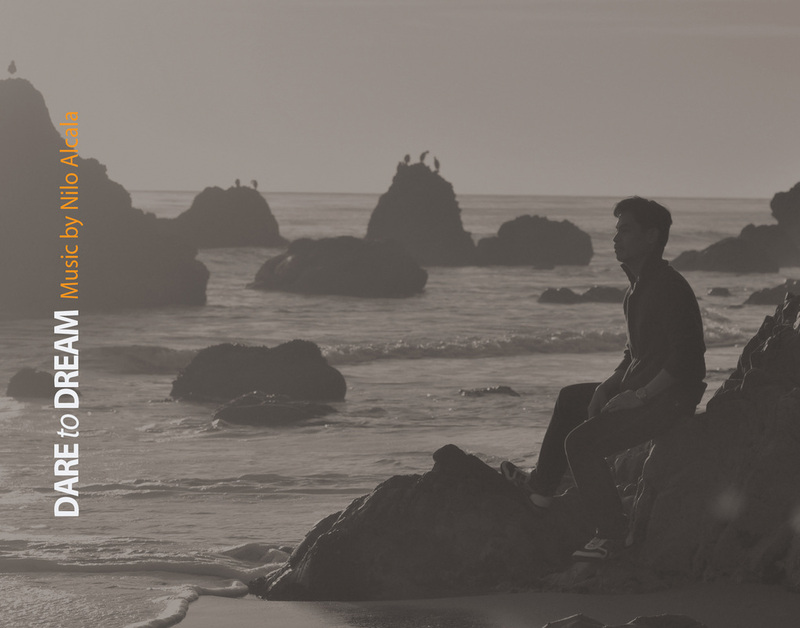 Donations USD$5o.oo and above are entitled to a free Dare to Dream CD!